Research Project 100007 initiated in 2008 has finally been completed. This project has been ongoing for the last 10 years, but has at last culminated in the publication of a description of a NEW Euastacus species for the western drainage of New South Wales, Australia. 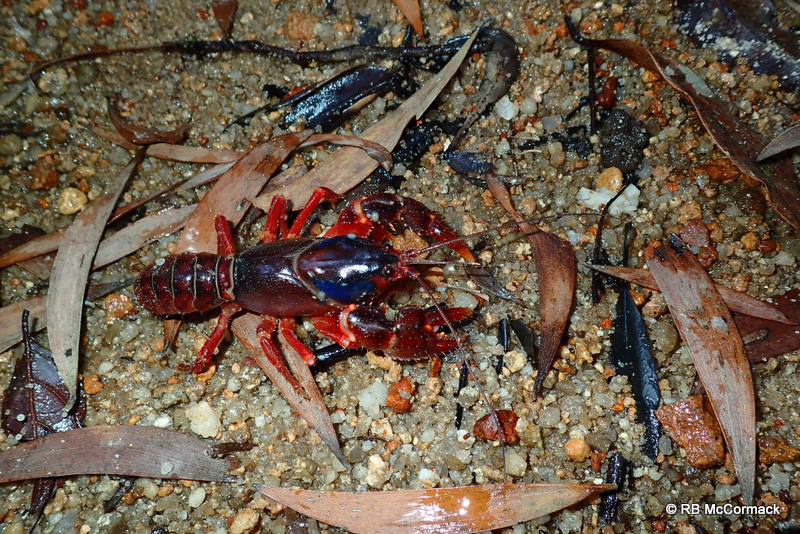 The Cudgegong Giant Spiny Crayfish Euastacus vesper is described from the upper reaches of the Cudgegong River, east of Kandos NSW. 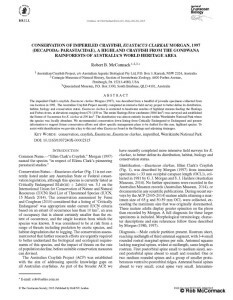 The description was published in May 2017 in the international journal Zootaxa. This new species seemingly has a very small distribution and faces a large range of serious threats. The next Project will to systematically survey the surrounding area and accurately define the exact distribution of the species and then publish a paper of its conservation status, something we consider based on the available information, would be “Critically Endangered”. 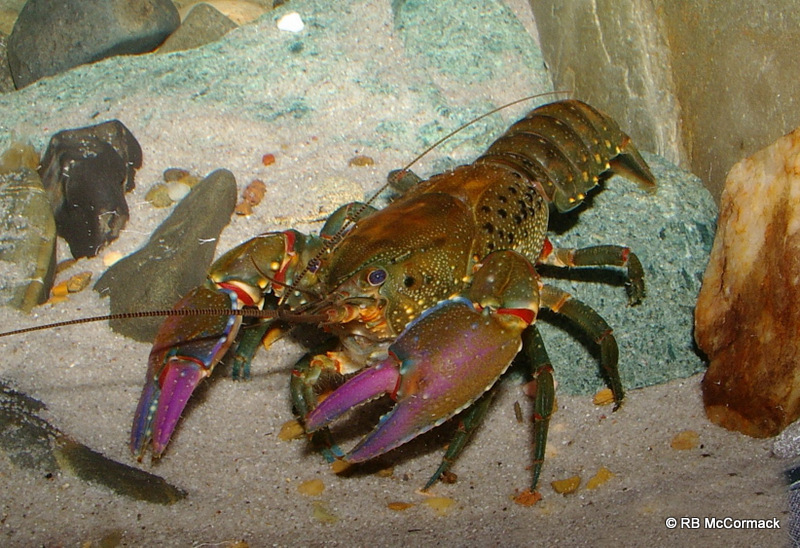 Research Project 100084 has been generated to designate a conservation status for this new Euastacus species. 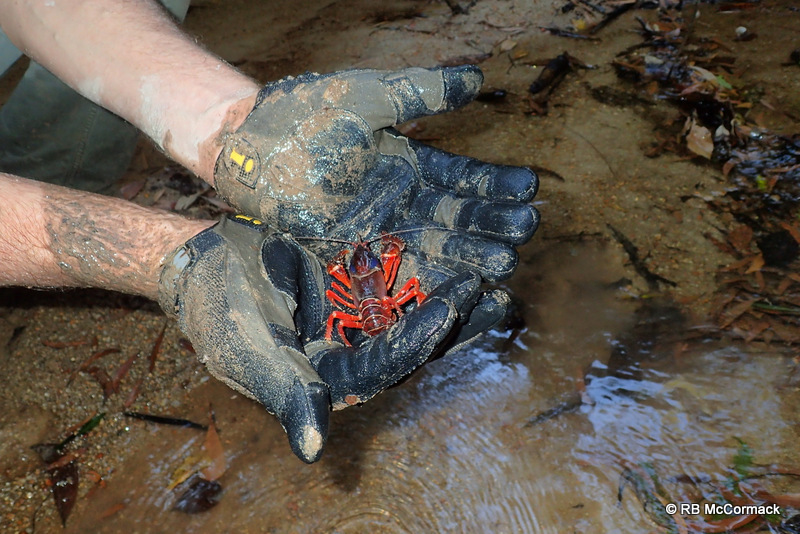 A New Spiny Crayfish in Western Drainage, NSW. Project: 100007 started back in 2008 final draws to a closure. 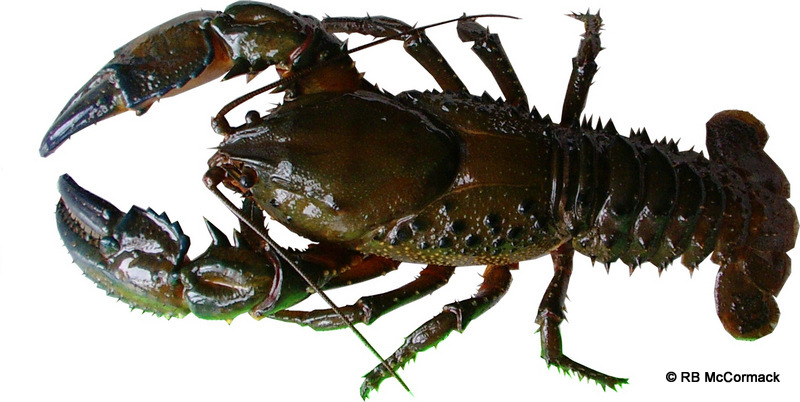 The project that started out as an unidentified Euastacus crayfish species has been found in western drainage of NSW has been finalized with the completion of the project going to press. A scientific manuscript title; Euastacus sp. 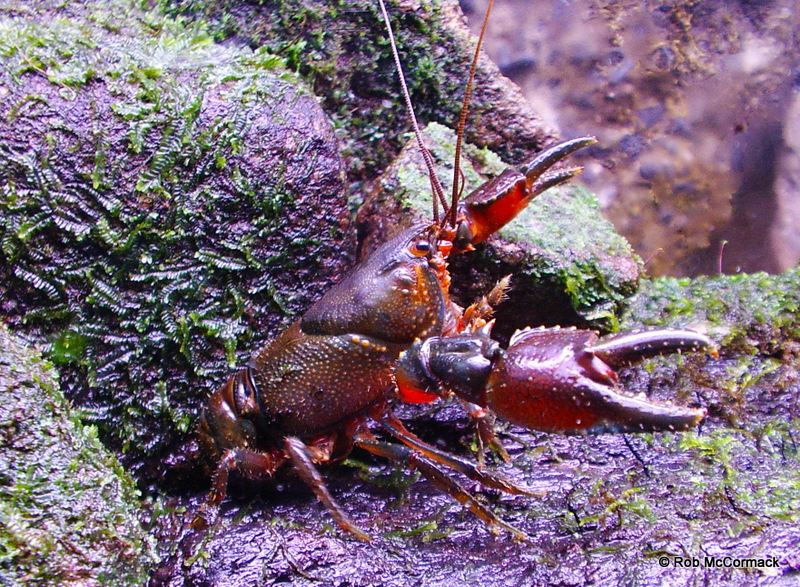 nov., a new giant spiny crayfish (Crustacea, Decapoda, Parastacidae) from the Great Dividing Range, New South Wales, Australia, by Robert B. McCormack & Shane T. Ahyong has been completed and submitted to the journal Zootaxa. The new species is described from the upper Cudgegong River, New South Wales, Australia This new species occurs in the western drainage of the Great Dividing Range, and is most closely related to E. spinifer (Heller, 1865), which occurs on the eastern side of the range. The new species differs from E. spinifer by its considerably smaller maximum size, greater degree of thoracic spination loosely arrayed in three instead of two rows, genetic sequence divergence in COI and unusual colour variations. Both Euastacus armatus and the new Euastacus species occur in the upper Cudgegong River and this has led to much confusion in the past. Recent research by Whiterod et al., 2016 indicates that the E. armatus population in the upper Cudgegong is a translocated population. In our present study, we formally describe this new Euastacus species, increasing the number of species of Euastacus to 53. 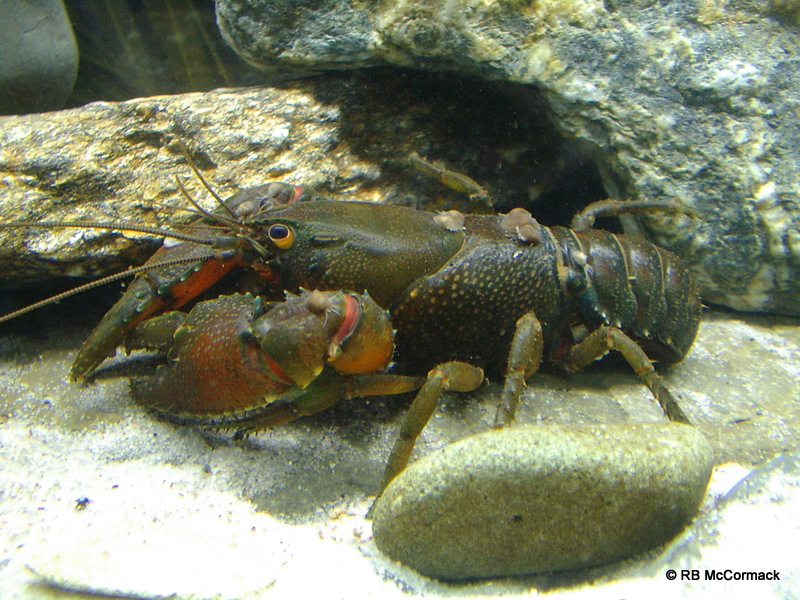 Started in 2005 the quest to rediscover the Orbost Spiny Crayfish Euastacus diversus has been a long and intriguing journey cumulating in the publication of this paper. 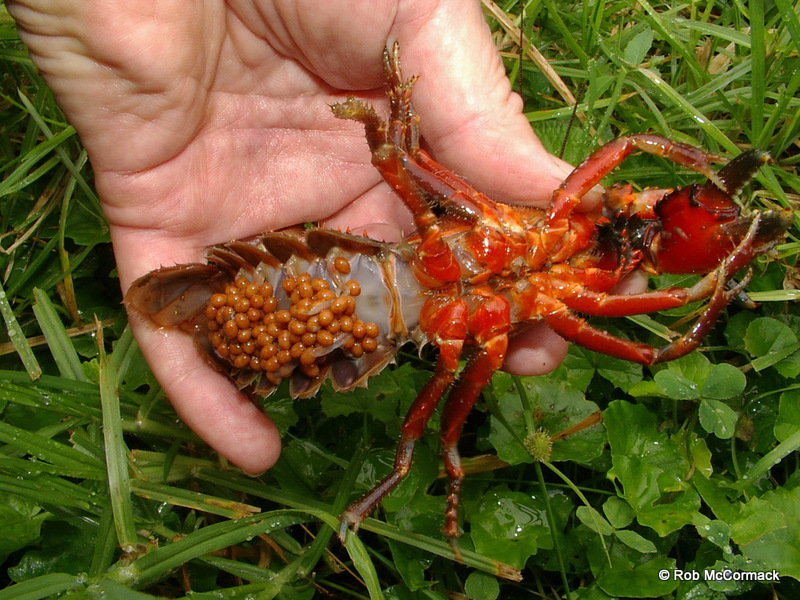 This story began back in 1959 when one of Australia’s foremost expert on freshwater crayfish at that time, Edgar Riek, discovered this small freshwater crayfish species in the east Gippsland region of Victoria. Then in 1969 he described the species and named it Euastacus diversus. 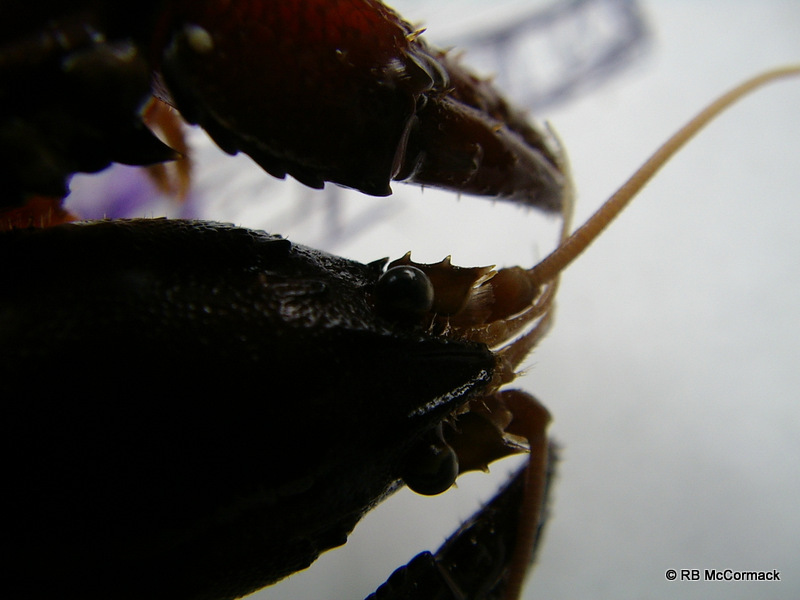 Since that day this crayfish has remained a rare and elusive species. In 1986, the then current expert on the genus Euastacus, Gary Morgan, searched for this species but was unable to find any in the wild. As a consequence he redescribed the handful of original specimens collected by Riek in 1959 that are held at the Australian Museum. 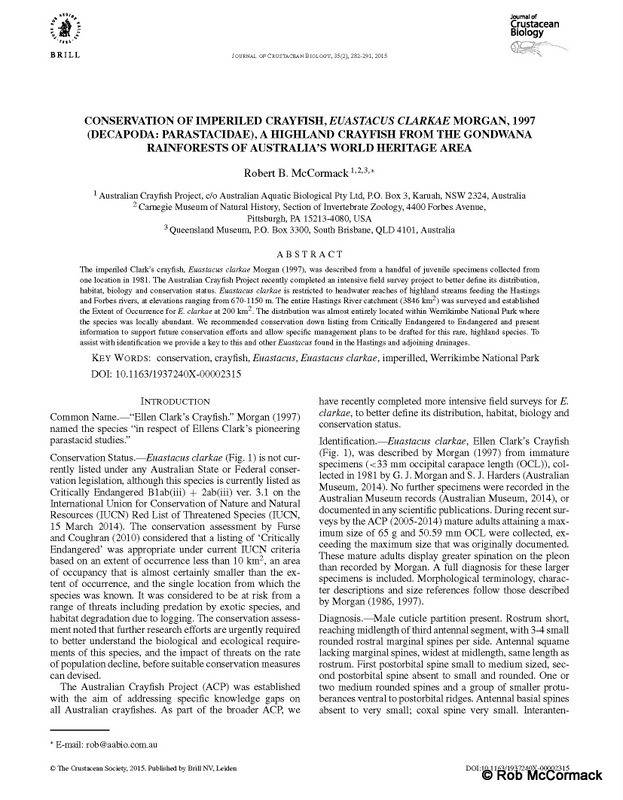 Gary Morgan’s detailed description, published in the Memoirs of the Museum of Victoria 30th May 1986, was the latest scientific publication on this species and forms the basis of all current information and opinions until now. 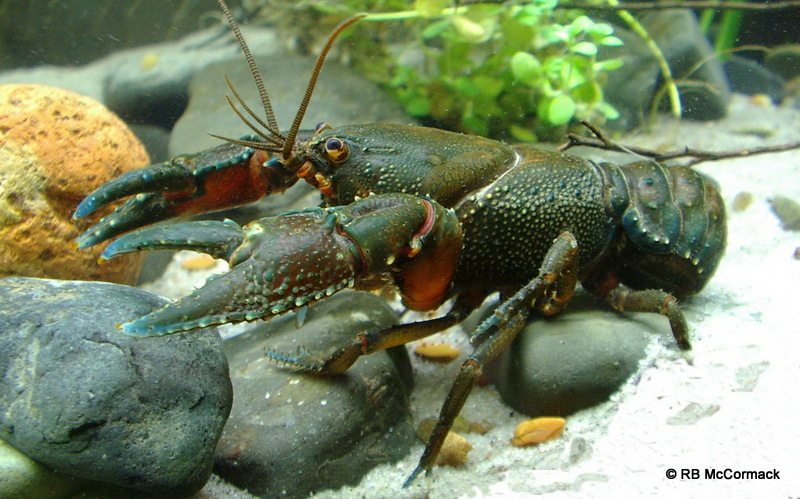 In 2005, the Australian Crayfish Project (ACP) was started, involving one of the largest projects researching freshwater crayfish ever seen in Australia. Between 2005 and 2007 we also failed to find any specimens of Euastacus diversus for the type locality general area 40 miles north of Orbost. 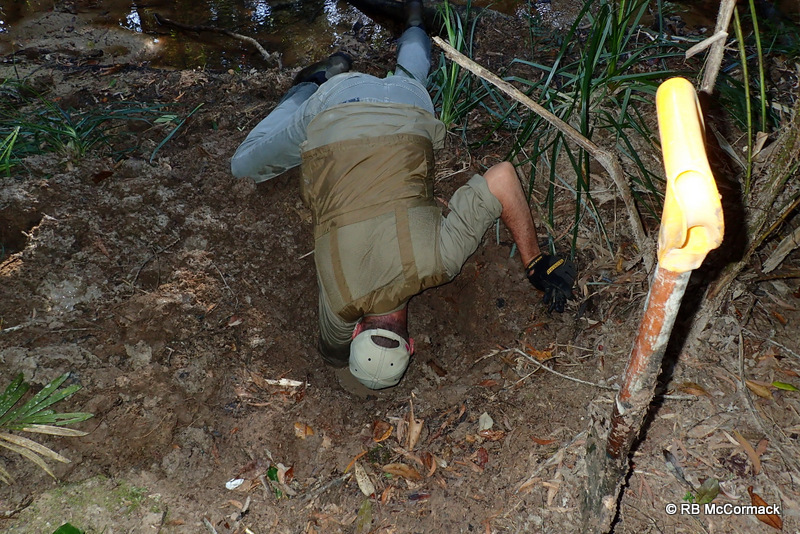 Then in 2007 we changed our methods and successfully started finding more and more specimens. Up to 2011 a considerable number of E. diversus and other Euastacus species were found in the wild. 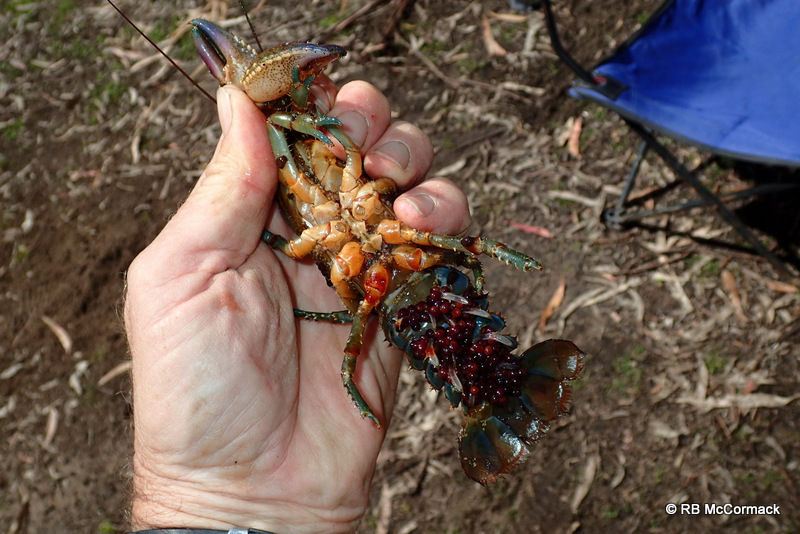 The project has been very successful in finding this and other crayfish species, and large areas of southern NSW and eastern Victoria were systematically biologically surveyed specifically for freshwater crayfish. We found Euastacus specimens everywhere and most did not match the description for the known species leading to much confusion. However, genetic analysis by the Carnegie Museum of Natural History in the USA helped clarify the situation resulting in the thorough redescription of E. diversus and the discover of a number of new species. 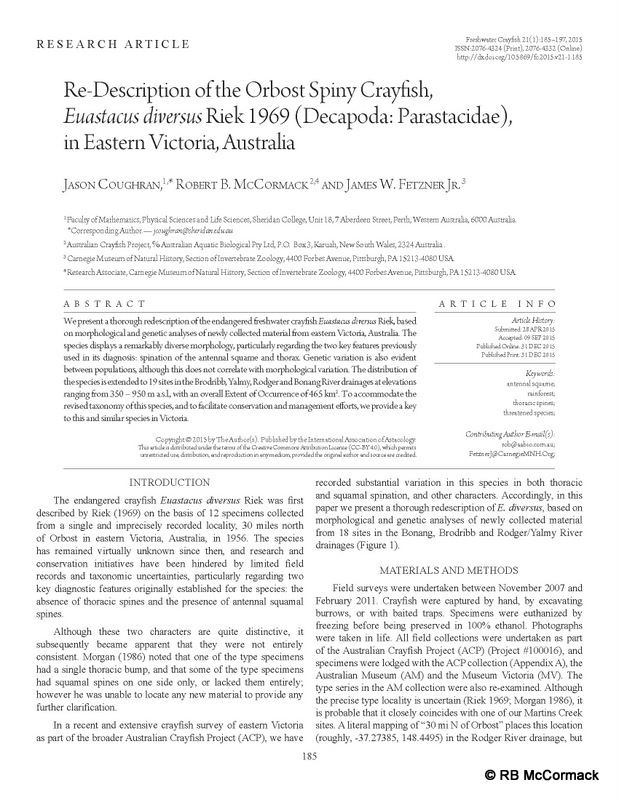 The research culminated in this paper titled “Re-description of the Orbost Spiny Crayfish, Euastacus diversus Riek 1969 (Decapoda: Parastacidae), in Eastern Victoria, Australia” published in the journal “Freshwater Crayfish”. 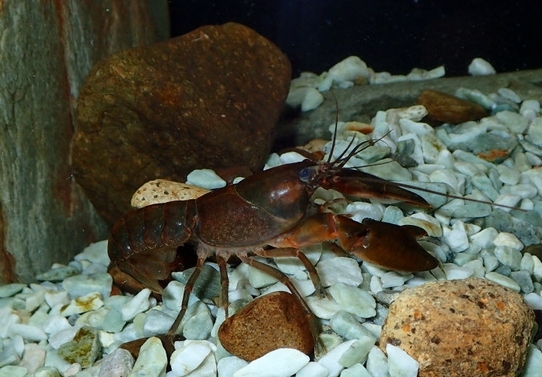 The paper redescribes Euastacus diversus to include the Bonang River crayfish (previously thought to be a new species). 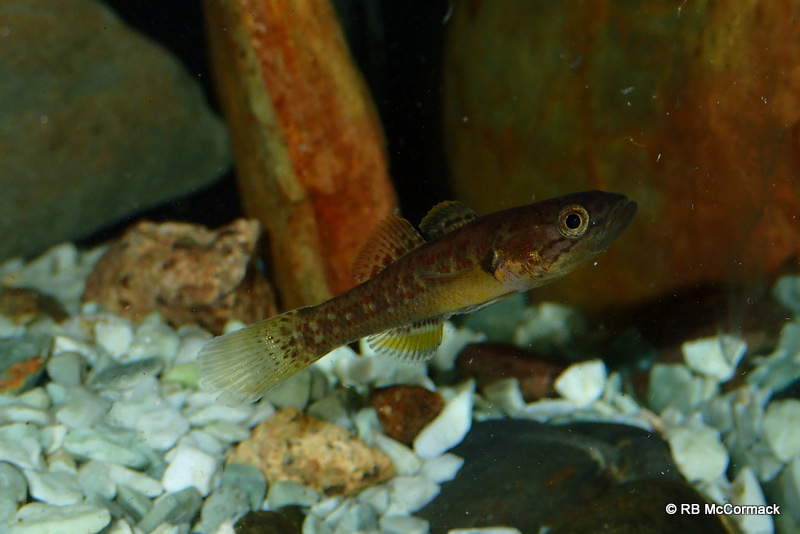 The Bonang taxon represent a morphologically distinct population of Euastacus diversus that is genetically 1.95% divergent from the E. diversus type locality populations. The research extends the distribution of the species to the Brodribb, Yalmy, Rodger and Bonang River drainages at elevations ranging from 350 – 950 m a.s.l., with an overall Extent of Occurrence of 465 km2. Research continues on E. diversus which will surely increase the Extent of Occurrence. Research also continues on the new Euastacus species and hopefully the first of the new species descriptions will be published later this year. Coughran J, McCormack RB and Fetzner Jr. JW (2015). Re-description of the Orbost spiny crayfish, Euastacus diversus Riek 1969 (Decapoda: Parastacidae), in eastern Victoria, Australia. 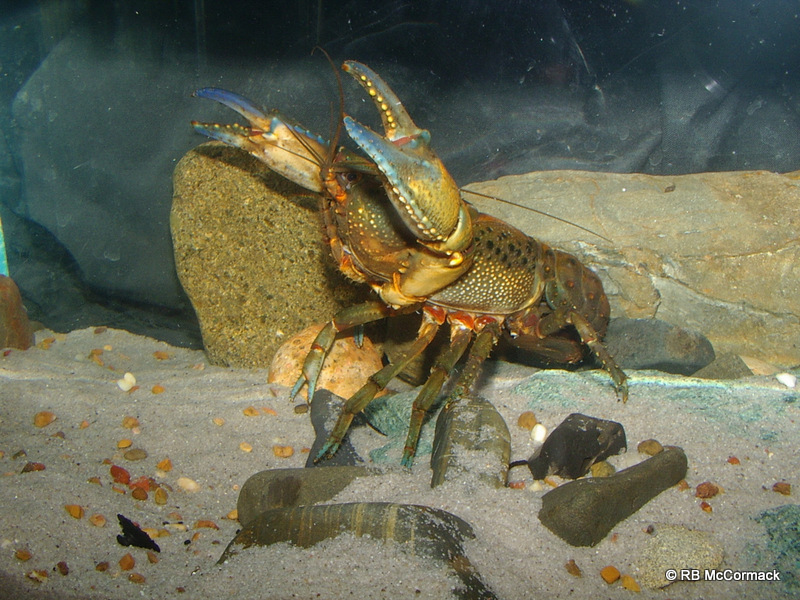 Freshwater Crayfish 21(1): 185-197. 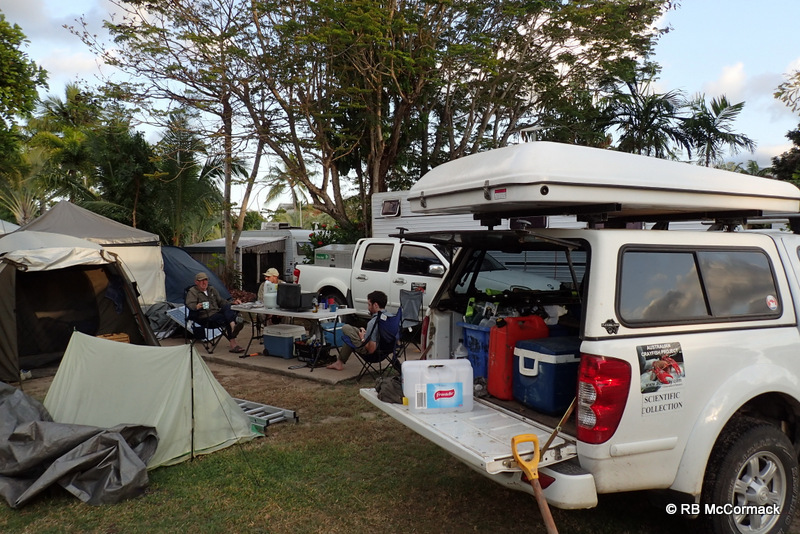 Early September 2015 four volunteers on the Australian Crayfish Project (ACP) met at Townsville Queensland for a crayfish research expedition. We met at Cocoa Creek, on Cape Cleveland approximately 17 km east of Townsville. We all got there pretty much together just before sunset. Cocoa Creek is a small muddy deep water creek flowing through the mangroves. Last time we were there it was full of fish, mudcrabs and rumour had it one small (1.2 m) crocodile. As soon as camp was set up we started having a fish just on dark. 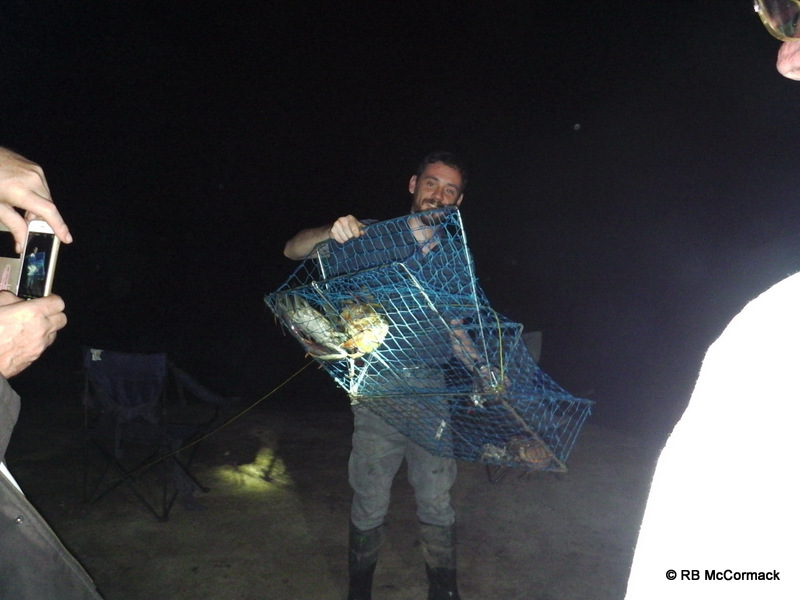 Karl dropped in a couple of crab traps and after 35 minutes he pulled the first out and jackpot, 4 mudcrabs. We failed to catch many fish that night but what was biting we biting midges or sand flies. They were in abundance and a major hassle as nothing repelled them. The following morning Karl and I headed for Mt Elliott whilst Paul and Phil held the fort and stayed at base camp on Cocoa creek. 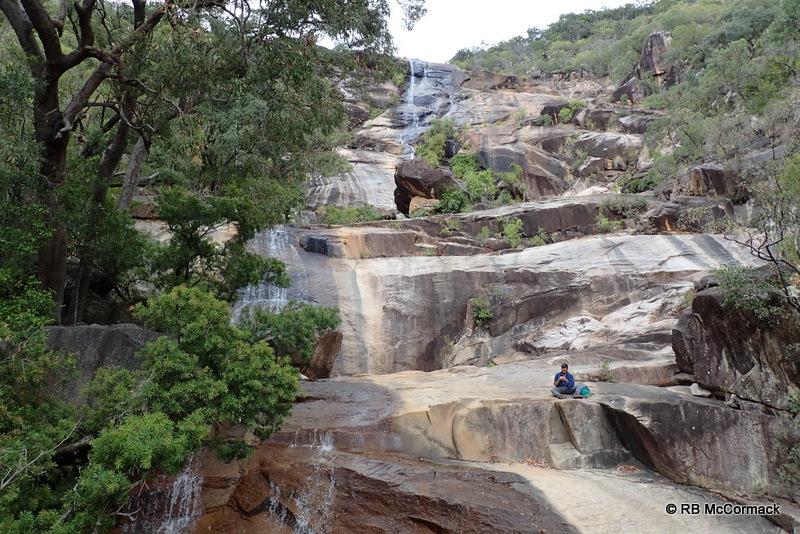 Karl and I made it to the base of Mt Elliot at the falls, set up a camp and then started climbing the mountain. We made it well up and then back that day, just blazing a trail and flagging a track ready for the early start the following morning. We were climbing Mt Elliott to research the Mt Ellliot Crayfish Euastacus bindal one of Australias most endangered and rarest freshwater crayfish species with a small knowledge base. The ACP has been researching this species since 2008 and this is our 5th expedition up the mountain. Once again we gathered more information which has been added to our paper and eventually we will publish our findings. Unfortunately, we will need further expeditions up the mountain so stay tuned. After Mt Elliot we headed to Koombooloomba Dam, some 28 km south south east of Ravenshoe, Queensland. The dam has been constructed on the Tully River and we set up a base camp there to research the Cardwell Hairy Crayfish Euastacus yigara. 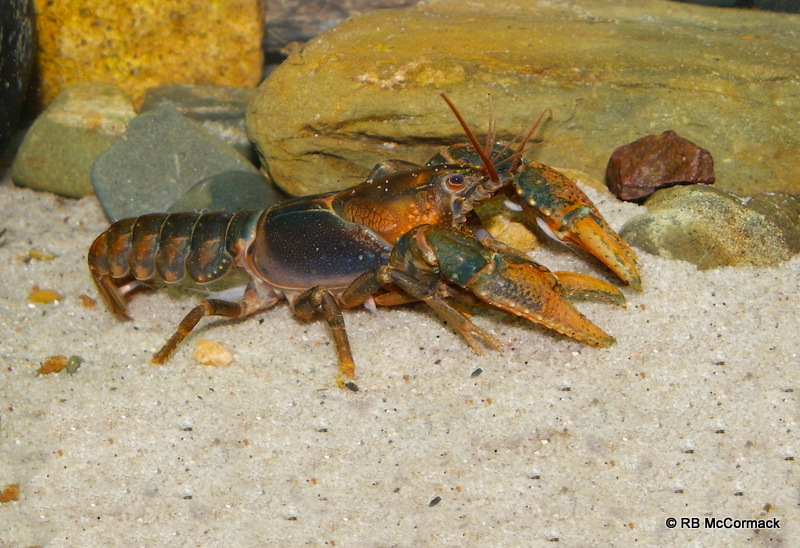 One of the least known and researched Euastacus crayfish species in Australia. Our research on E. yigara was very successful and eventually we will publish our results. For an article on E. yigara “Click Here”. 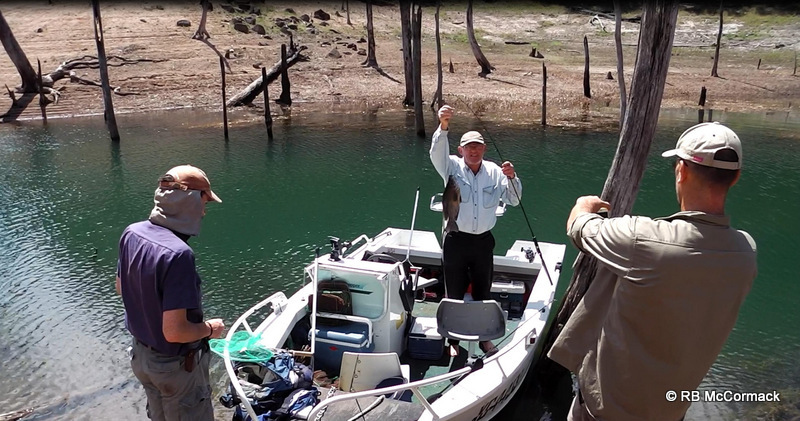 Paul brought his boat which we launched on Koombooloomba Dam and we were able to access all the feeder streams that drain into the dam. 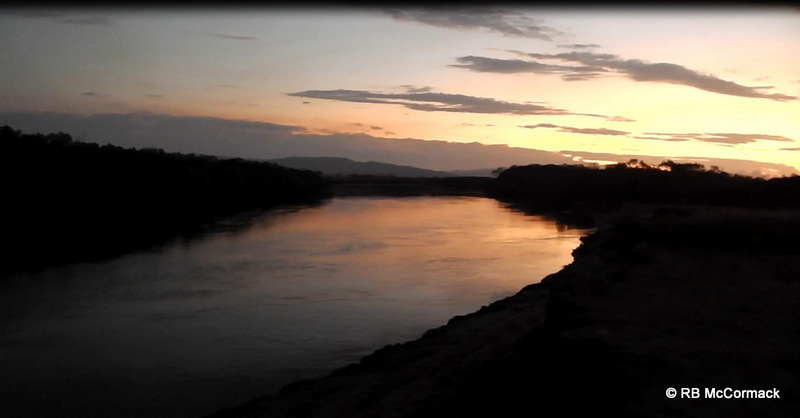 We would motor up to the end of a bay, hop out and follow the stream into the rainforest and research E. yigara. 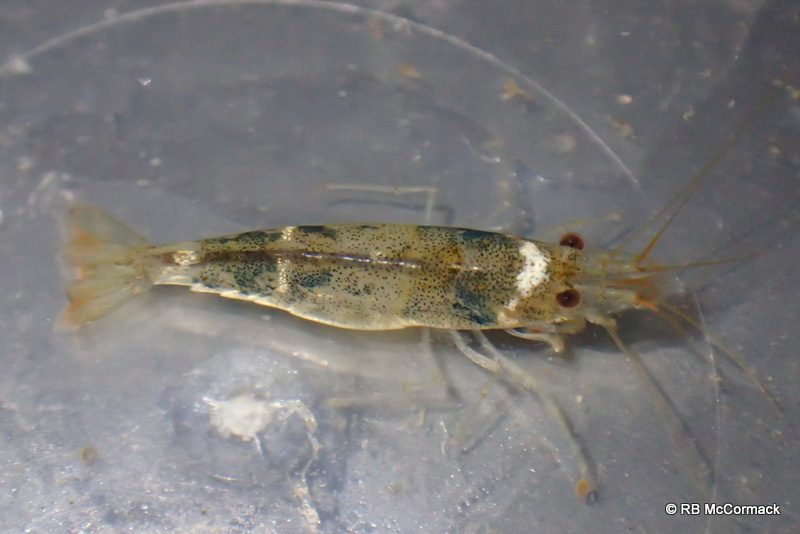 We also found both in the dam streams and those we surveyed in the wider area, Cherax parvus, Zebra Shrimp, another Caridina shrimp species, Rainbow Fish and Trout Gudgeons. Between researching crayfish we also had a fish in the dam. Sooty Grunter were plentiful and we caught quite a few for dinners at night after a hard days cray chasing. For 5 days we researched E. yigara then we moved to Hinchinbrook Island. 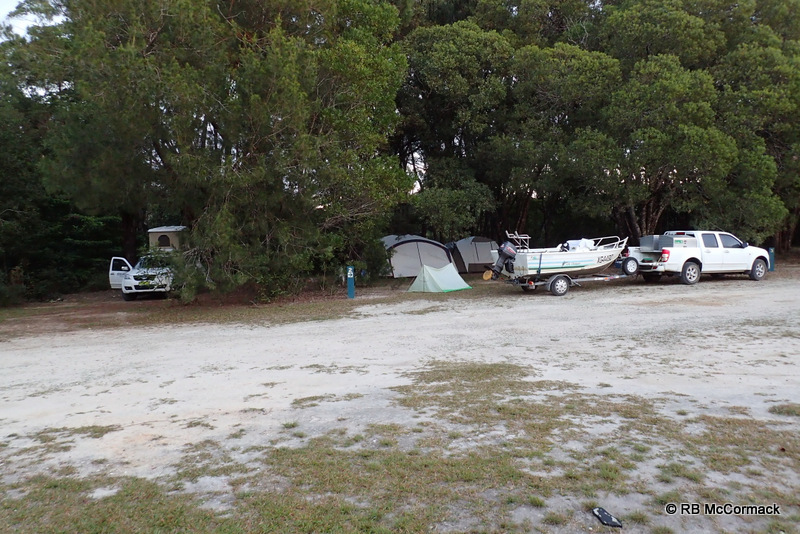 We made camp at Lucinda opposite the southern end of Hinchinbrook Island in the “Wanderers Holiday Village”. Camping was at a premium and we only just managed to get a space squeezed in between caravans. 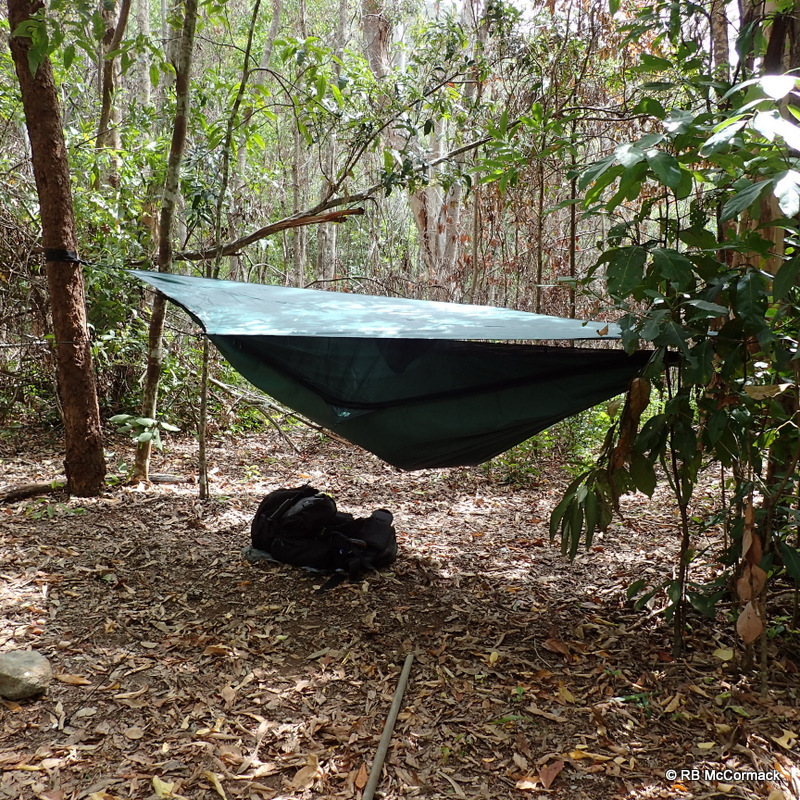 This was our base camp for daily expeditions across the bay to Hinchinbrook Island. 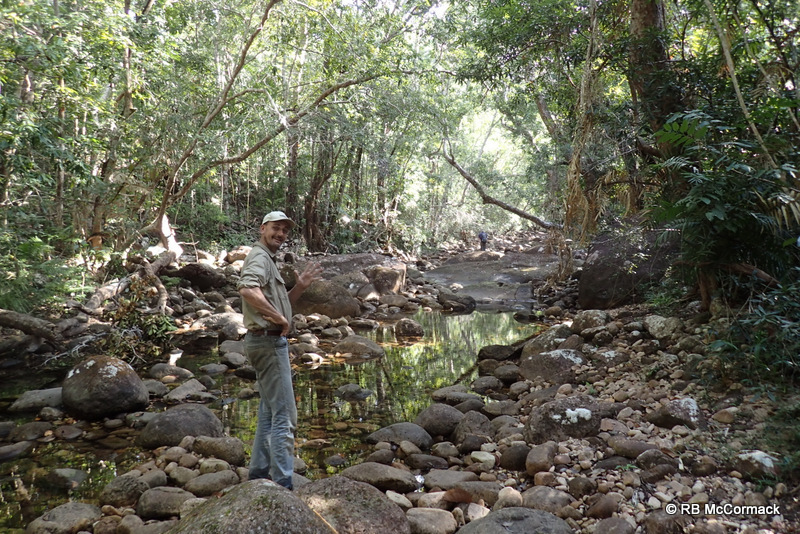 We would motor across to Hinchinbrook then follow the creeks up into freshwater and survey for freshwater crayfish. It was a great trip and we will do it again next year. I drove 5,500km to get there and back so 2 days each way just gettings there. Hopefully, next year we will do a fly in and fly out trip. 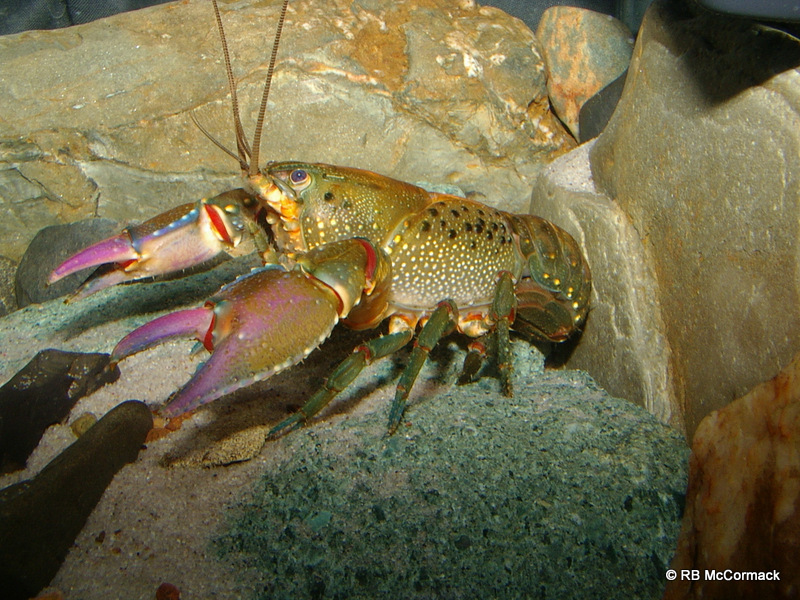 Between 2005 and 2012 the Australian Crayfish Project (ACP) has been researching an IUCN listed Critically Endangered species Euastacus clarkae. Then in 2013 the ACP received a Mohamed bin Zayed Species Conservation Fund (MBZSCF) grant (Project 12054688) and I am extremely grateful for their generous support. The MBZSCF is a significant philanthropic endowment established to provide targeted grants to individual species conservation initiatives, recognize leaders in the field of species conservation and elevate the importance of species in the broader conservation debate (http://www.speciesconservation.org/). With their valuable support and the support of NSW National Parks and Wildlife Service we were able to complete this massive project. The entire Hastings River catchment some 3846 km2 was surveyed and established the Extent of Occurrence for E. clarkae at only 200 km2. This project not only supplied critical information on E. clarkae but documented the distribution of all Parastacidae species occurring in the catchment. 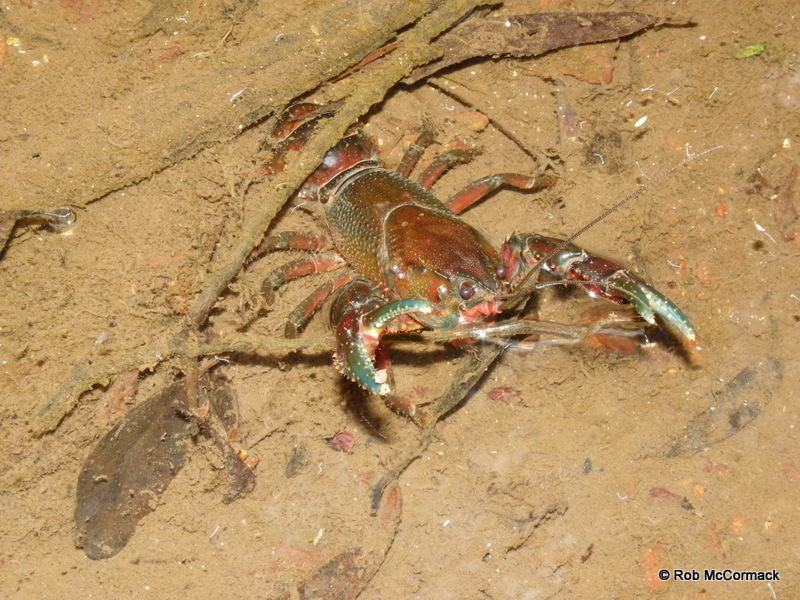 The research on the rest of the catchment is ongoing but so far in proposed follow up scientific manuscripts we will remove one Euastacus species currently listed as occurring in the Hastings Drainage and add 2 new Euastacus species never previously recorded – stay tuned.